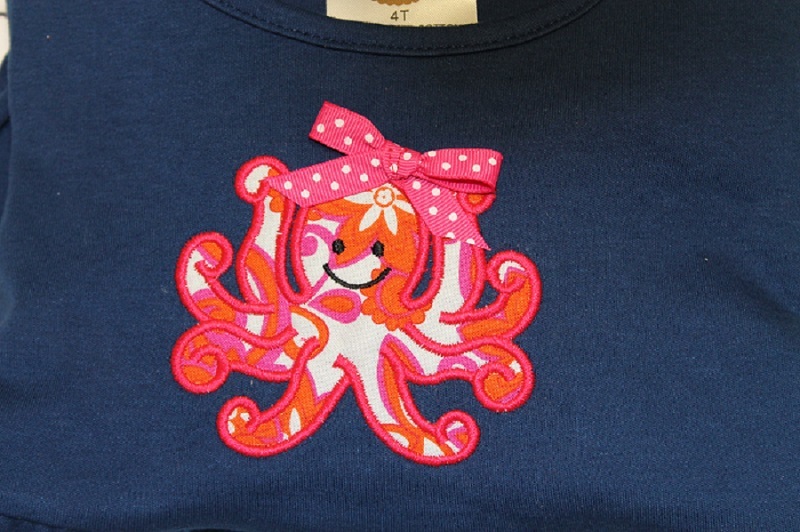 This cute little girl octopus comes complete with a hair ribbon. Design can be created with or without your little girl's name. Make it a matching set with a bib and a burp cloth.